Here is a photo and comments from a builder of one of my HF Yagis. Be sure to search 'G0KSC Antennas' on facebook, most of my updates are placed there now! 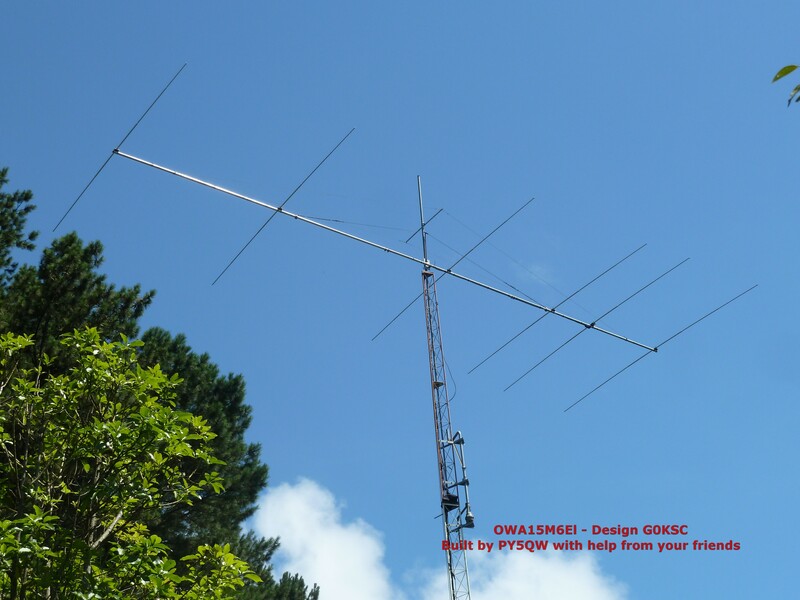 Attached the OWA15M 6el photos built from my friend Vigand - PY5QW and help from me and our friends. Excuse me the archive size, to preserve minimal quality I make a little compression. "For first time I ear (and work) a PY in Australia.... VK5MTM/M (20M Mobile....) and some videos on youtube. At QRZ/PY5QW more photos, is special 7th. At 0:24 to 0:28 switch OWA to KT to OWA.